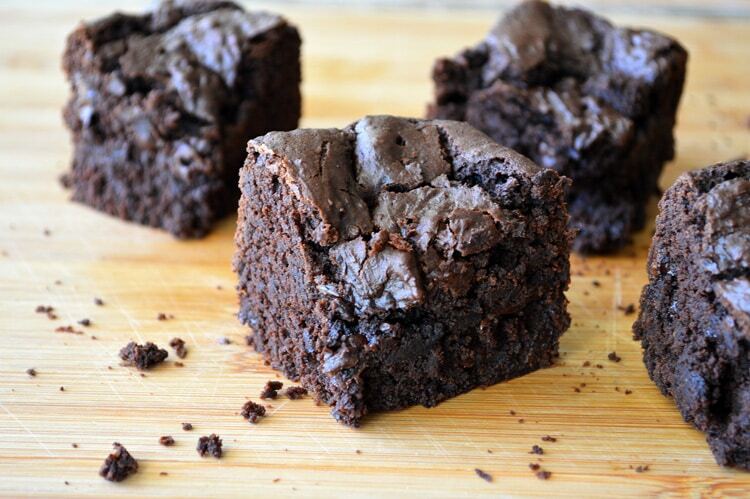 Black Bean…Brownies? I know, it sounds crazy, right? 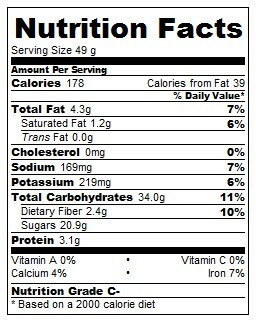 You can’t even taste them but they provide a big bang for the buck where protein is concerned. 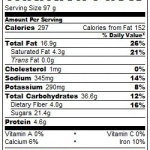 3 grams per serving when using a 9 portion recipe and only 178 calories each! 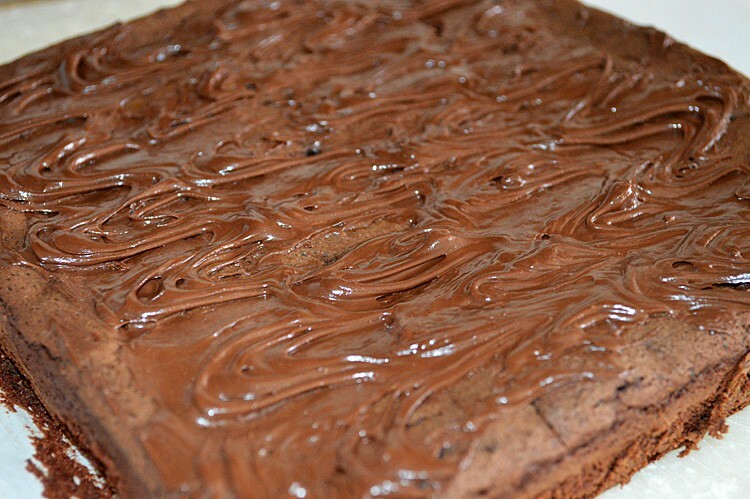 They are moist and rich and oh-so-chocolatey. Made with cocoa powder, melted chips, chips inside and melted chips for the frosting. You could also use the white chocolate chips here as well. I must admit, this was my third (yes, you read that right!) attempt at this recipe and I was determined to get it right. The first time, they were too moist, didn’t really set up. The second time, they were too cake-like and although delicious, fell apart easily (see photo above). Third times the charm, as they say! This was the final result. 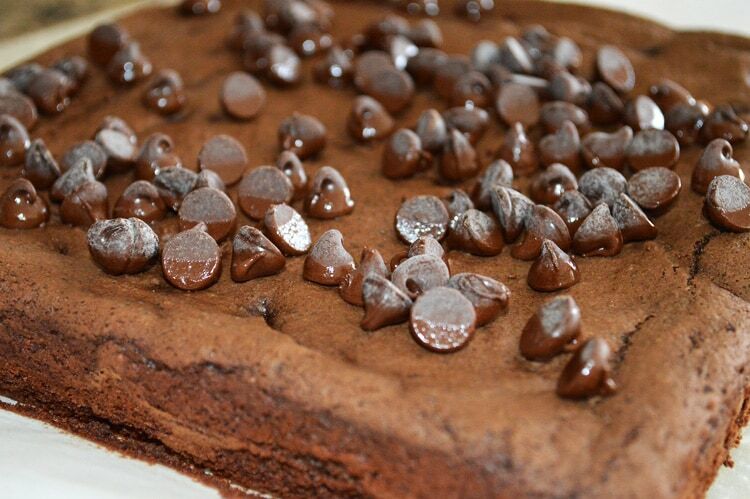 Still moist and cake-like, but also fudgy. They are still somewhat fragile, so be sure to cool completely before serving. I did these in an 8″ square pan, but you could make them thinner in a 9×13″ pan. At the last minute, I decided to sprinkle a few leftover chips over the hot brownies and spread it over top. I used a fork to make those decorative lines you see. You could also dust the tops of the brownies (once cooled) with some powdered sugar prior to serving. Or serve with some vegan vanilla bean ice cream. Yum! Melt the semi-sweet chocolate chips and set aside. In a food processor, puree the black beans with the oil, applesauce, cocoa powder, sugar and vanilla. Add the melted chocolate chips. Add the pureed mixture to the flour mixture along with the unmelted chocolate chips. Mix just until combined. Line an 8"x 8" baking pan with parchment paper, allowing for some overhang. This will help with removal. Spread the batter evenly and bake for about 25-30 minutes until a toothpick comes out with crumbs. While still very hot, sprinkle with chocolate chips and spread to coat. Using a fork, make a decorative design, if desired. These are pretty low calorie too! 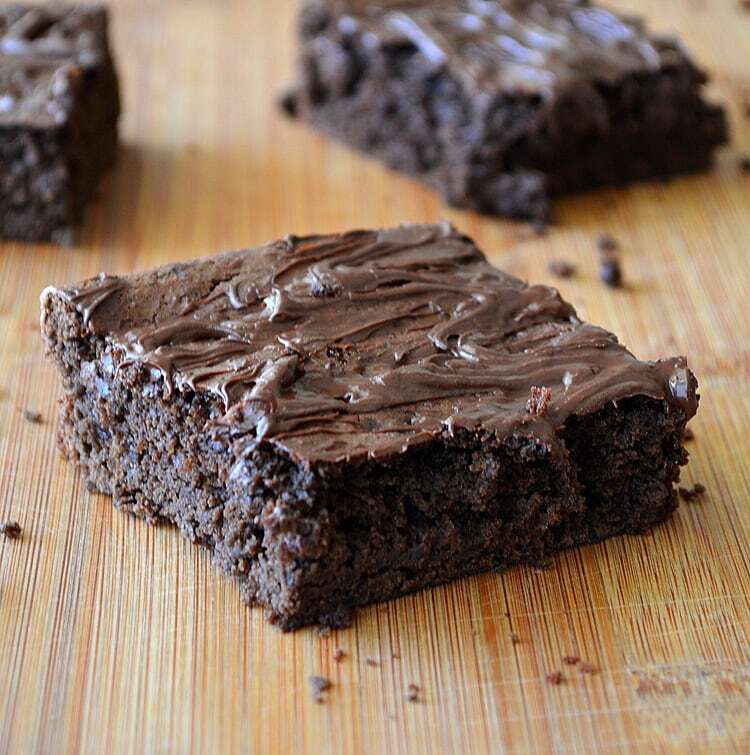 178 calories per brownie, 9 brownies per recipe. Yum! I really want to make these this long weekend. LOVE bean desserts. 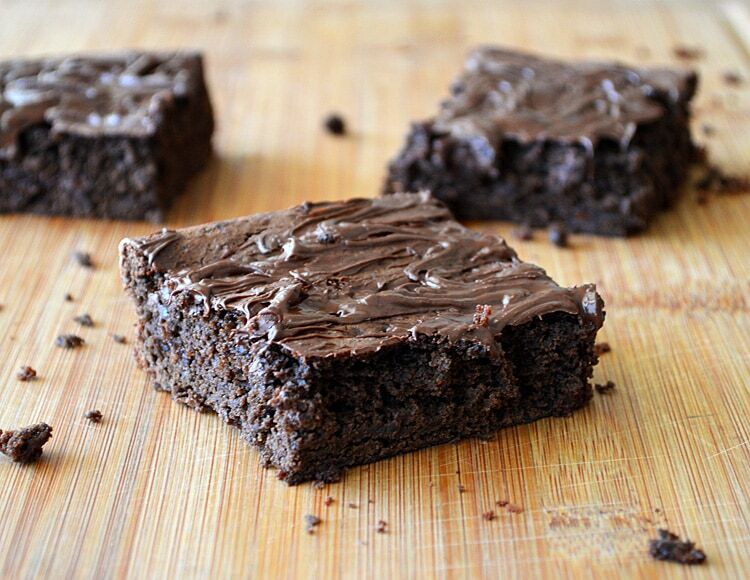 These look fudge-like and amazing. Mmmm I like the topping too. So good! Thanks so much Allison! I just visited your blog. We share a similar journey (gall bladder…ugh). Your photography is amazing & what I aspire to 🙂 Thanks for stopping by!! This looks incredible! Thanks for the recipe! I’m pretty sure this recipe never says when to add the melted chocolate chips. I’d like to try this recipe though, are you able to inform me when the melted chocolate is added? I’ve edited the recipe so that it indicates when to add the melted chips. Sorry about that. I have made these quite often and love them. Are there any other recipes for using or converting flour to black beans? I am very much interested knowing more. Would these be gluten free if I changed out the all purpose flour with a GF one? And wondering if you or a one else has done that?